Nominated for a WEGO Health Award in the “Best Kept Secret” category, Gail Trauco is an invaluable resource and inspired solution provider to patients, health care providers and pharmaceutical companies alike. In the constantly changing health care industry, it is increasingly difficult for patients and their families to remain informed and receive the care they need. Enter registered nurse and licensed Grief Mediator Gail Trauco who has spent four decades helping patients navigate all of the red tape to be able to heal and recover from a broad range of illnesses. Nominated for a WEGO Health Award in the “Best Kept Secret” category, Trauco is an invaluable resource and inspired solution provider to patients, health care providers and pharmaceutical companies alike. Originally coined the “WEGO Health Activist Awards”, the WEGO Health Awards were created to embody the mission of WEGO Health: to empower Patient Leaders. WEGO Health brings patient advocates, influencers, and experts together from around the world who are helping others and transforming healthcare–often without recognition. "Your first impression of Gail Trauco is that she is a sweet Southern lady with a thick, Georgia drawl... and then you are overwhelmed by her power and passion!” says Dr. Jeffrey H. Watts, a Sunrise, Florida based psychologist who has collaborated on patient care with Trauco since 2013. “When it comes to patient advocacy, Gail always makes a way when everyone else says there is no way. She regularly slays giants that threaten the life of her patients. If I am ever in need of someone to stand for me and my rights, there is only one call I would make - Gail Trauco." For the first time ever, the WEGO Health Awards Ceremony will be presented live in partnership with the World Congress during the 5th Annual Patient Advocacy Summit. The event takes place October 23-24 in Washington, D.C. The 2017 Summit will feature expert speakers representing a number of organizations including the FDA, PPAL, BIO, Bristol-Myers Squibb, GlaxoSmithKline, as well as Patient Leaders. According to Trauco, an immediate transformation in healthcare systems are needed: cost of health care insurance; improvement in the length of time required for insurance approval process specialty procedures/surgeries such as repeat CT/MRI scans, bariatric surgery (gastric band, gastric bypass, gastric sleeve); and implementation for patients to embrace and utilize alternative treatment therapies at their own decision/discretion versus standard of care treatments. Since its inception in 2011, the WEGO Health Awards have proven to be one of the best ways to connect the healthcare industry with top patient influencers. 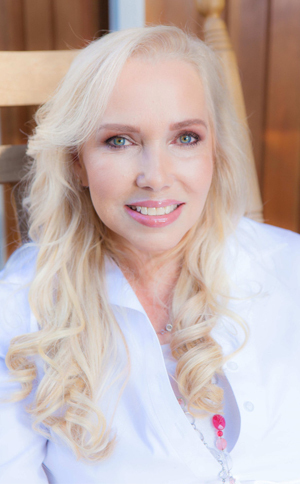 For more information about Gail Trauco and/or to endorse her WEGO Health Award “Best Kept Secret” nomination, visit: http://www.FrontPorchTherapy.com or https://awards.wegohealth.com/nominees/4001. Gail Trauco has made it her life’s mission to help others. Whether it’s through grief mediation, hypnotherapy, life-cycle coaching, or her experience as an oncology nurse, Gail calls upon her compassion as a caregiver to aid her clients in reclaiming their lives. Raised in Foggy Bottom, North Carolina, Gail attests that angels have been on her shoulder long before coming into contact with dying patients in cancer wards. Her life experiences and clinical expertise have uniquely enabled her to bridge the worlds of medicine and mind-body-spirit healing, thus cementing her position as one of the country’s most sought-after grief mediators. Gail has also appeared on ABC, NBC. FOX, CW, CBS. WEGO Health is a mission-driven company dedicated to transforming healthcare by harnessing the experience, skills and insights of Patient Leaders. It is the world’s largest network of patient thought leaders, influencers and advocates, comprising of more than 100,000 individuals across 150 health conditions. WEGO Health’s clients include leading pharmaceutical and life sciences companies, as well as agencies and organizations across the healthcare industry. WEGO Health offers both enterprise and on-demand solutions that allow clients to leverage patient experiences and expertise in the design, development and promotion of their products and services.